When is it too late to say Happy New Year? At the end of January? A thousand apologies for the delay but as it’s not yet February, HAPPY NEW YEAR. We have been putting in some long hours at Lanta Animal Welfare and have had no time to catch up on much-needed blog writing. We hope you find in your hearts to forgive us. So how has 2017 been for these two animal-loving adventurers? Catching up with family and friends is always going to be top of any highlights list. With that being a given, here are our three travel highlights from 2017. Sleeping on the floor of a bamboo hut in the foothills hills of Northern Thailand for six nights. 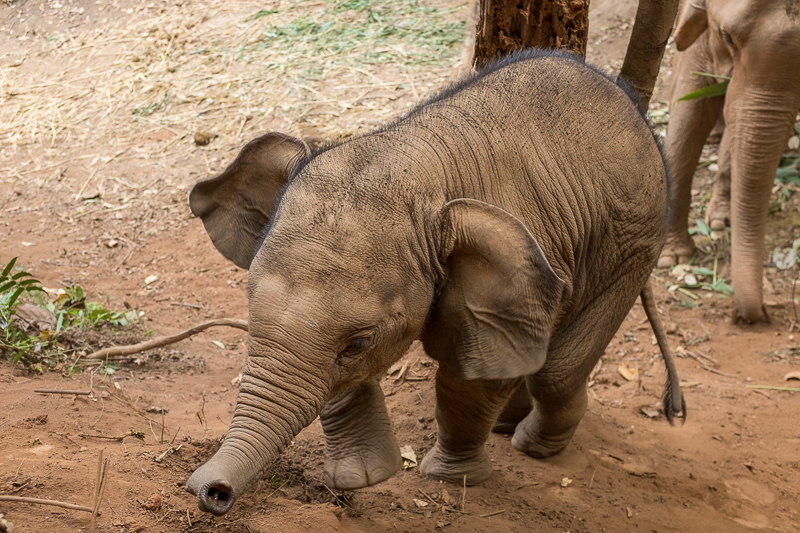 Spending our days hanging out with seven elephants as part of the Journey to Freedom programme. The best bit? Six-month-old Kili tries to sit on my lap. Being nervous as hell, covered in dust, dodging wandering cows, and listening to some of the worst Dad jokes in the world, all courtesy of Uncle Tom’s dirt bike tour. My very first time riding a motorbike. Thanks to Uncle Tom for making it a fantastic experience. 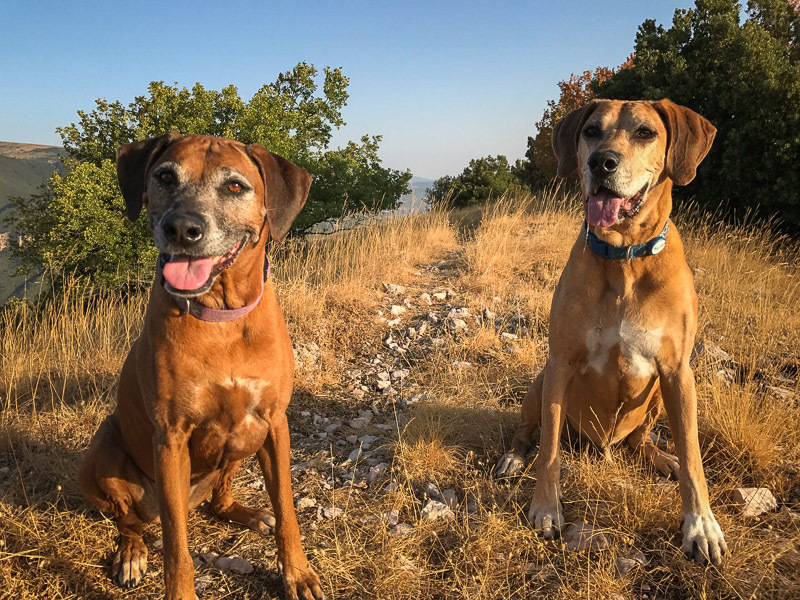 Using and improving my Italian while taking care of 22 cats in Umbria and then two gorgeous pups Maggie & Monty in San Ginesio. We had visits from family and friends, drank too much wine and ate too much pizza. Perfetto. 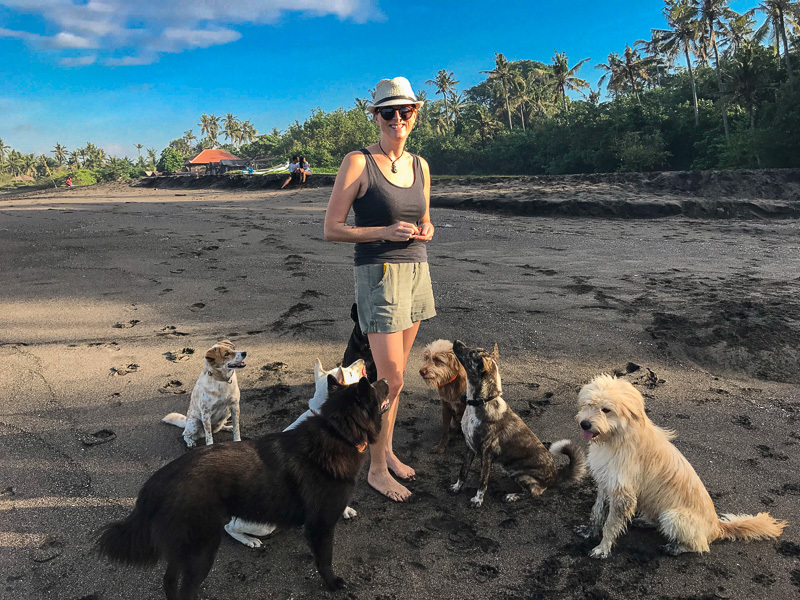 Living for two months in a small Balinese village looking after eight rescue pups and one rescue cat. Taking the pack for their twice-daily walk down to the beach and watching them romp in the surf. Exploring the thousands of temples, pagodas, and stupas in Bagan, Myanmar. I really could have stayed here for weeks letting my inner Indiana Jones come out. The last time we were in Spain we walked for 37 days, this time around it was a more leisurely trip around Barcelona, Granada, Cordoba, and Seville. Some fantastic historical sites and the odd protest or two (the Catalan vote for independence). 101 times, Julie declared her love for mushroom and truffle pizza. Should I be worried? We have big plans for 2018. Following our volunteering, at Lanta Animal Welfare, the idea is to head to Cambodia for a couple of weeks of chill time. Then we will fly into Vietnam, buy a motorcycle and spend six weeks biking through the country. Komodo Island and Bali in Indonesia are calling. We are keen to go back and visit Eli and our rescued canine buddies. Katherine, Steve’s youngest daughter graduates from university in May, so we will back in NZ to help her celebrate. Then we are planning a North America West Coast road trip. Starting with friends Rick & Paul just north of San Francisco. Popping into to see Ann & Jeanna in Seattle and then up through Canada and into Alaska. Along the way exploring some amazing National Parks, seeing grizzly bears feasting on salmon and the magnificent polar bears. Sounds like a fantastic (but expensive) year. Julie has gone from working shifts helping with the dogs, to supervising the shifts, to supervising the shifts and coordinating the volunteers that come to the Centre. The good folks in charge have recognised her super organisational skills and offered a role that could keep us in Thailand for a year. We will still be heading to NZ for Katherine’s graduation, wouldn’t miss that for all the money in the world. From NZ we will head to the States and catch with Rick & Paul and Jeanne & Ann for few weeks. Then head back to Thailand via a family visit to the UK to continue to help with the great work that the Centre does. We will even squeeze in a trip to Bail to see Eli and the pack. 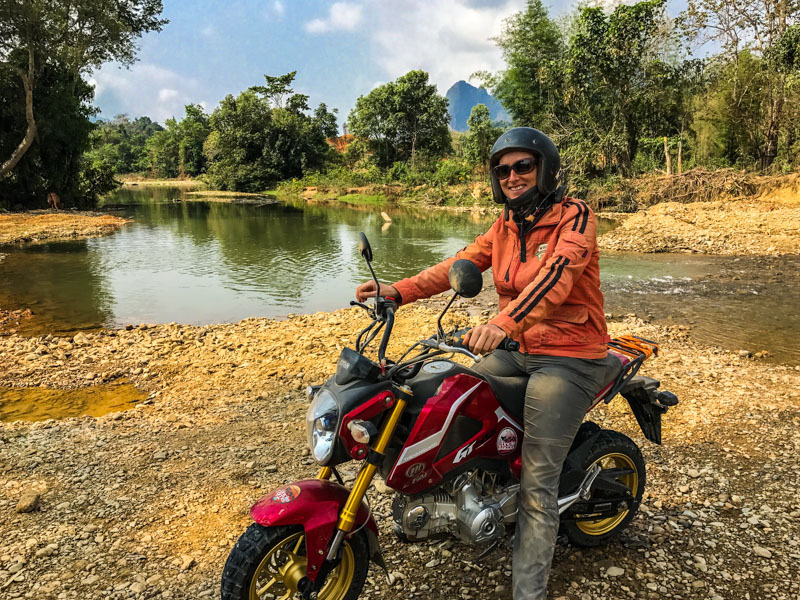 There’s still heaps of blog posts to write, including Jungle Adventures in Borneo, The Italian Job Part 2, Spain in two weeks, Technology for Travellers and Volunteering in Thailand. So watch this space. And finally, we both feel very blessed to be able to do what we are doing. We love our nomadic lifestyle, living simply, and taking the opportunities that present themselves along the way. 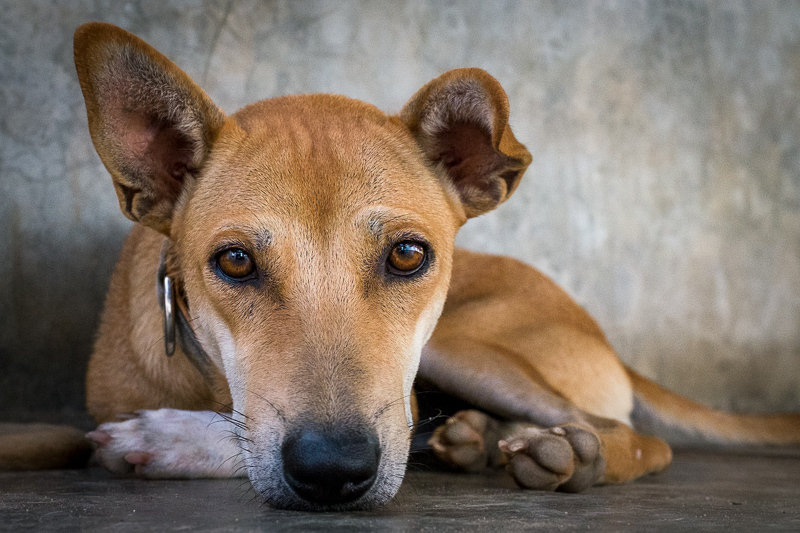 Like staying on at Lanta Animal Welfare, where we feel we can make a real difference to the life of Thai dogs and cats. Happy New Year to you all. We hope your 2018 is filled with love, blessings, and happiness. And very big thank you for following our adventures. It means a lot to have you guys along for the ride.